With 2011 behind us, what do the top tech companies have up their sleeves? Though a few have already made big announcements, most of what we think is coming is based on rumors. With that in mind, your business should watch for these potential developments from five of the top tech companies in 2012. Amazon started as a bookstore and has become a content monster. The new Kindle Fire has been a big hit so far, and the tablet is bound to start showing up in workplaces. Look for Amazon to find ways to make the Fire more versatile, and for even more versions of its Kindle line to become available by year's end, maybe even in the form of an Amazon phone. 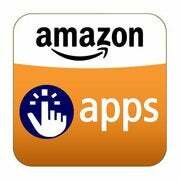 As its range of devices expands, look for Amazon's Appstore to grow in importance and compete head-on with Google's Android Market. Apple isn’t much for sharing future plans, but based on the current rumors, businesses can look forward to an updated Macbook Pro line. The stand-out feature is said to be a 2880 by 1800 pixel high-resolution "retina display", undoubtedly desirable to graphic artists. Road warriors who like the portability of the Macbook Air models but not the small screen sizes, may be in luck, as a larger 14 or 15-inch model is rumored to be in the works as well. The third iteration of the iPad is also due, presumably with a higher resolution screen and stronger processor. Though Facebook's biggest affect on a company may be to distract its workers, it's also a great tool for connecting with customers. Beyond an inevitable IPO in 2012, Facebook is rumored to be looking once again at a Facebook phone--and with it, perhaps more location-based tools. Ads are said to be coming to users' news streams, offering businesses another way to get their messages in front of customers, presumably in a highly targeted way. Beyond search in a PC browser, Android has become the way most people interface with Google every day. 2012 will see the latest version of Android, Ice Cream Sandwich, available on dozens of new smartphones, as upgrades are being pushed to many more of the newer models out there. You can also look forward to seeing it on tablets, as Google says it is releasing a "high-quality" tablet, presumably to compete with the iPad. Finally, look for everything Google does to have a Google+ tie-in, with new features being introduced, and tighter integration with its existing products to make it almost impossible for businesses to avoid. For 2012, it’s already obvious what Microsoft will be known for: Windows 8. With the beta OS due in February and the official release some time later in the year, new computers will have it installed, and businesses will need to evaluate if they want to upgrade. Besides Windows 8, the Kinect could also find its way into business. This advanced collection of sensors will be available for Windows. It could become useful not only for video conferencing, but as a way of using body movement or even lip reading to help control your computer. Finally, look for Microsoft-owned Skype to expand its offerings to better compete against Google Hangouts for audio and video conferencing. Joseph Fieber has 25 years experience as an IT pro, with a background in computer consulting and software training. Follow him onGoogle+, Facebook, or Twitter, or contact him through his website, JosephFieber.com.